Instant Cash Pickup or Account Deposit in any UAE bank account. Make payment to an individual or business payment we do it all. 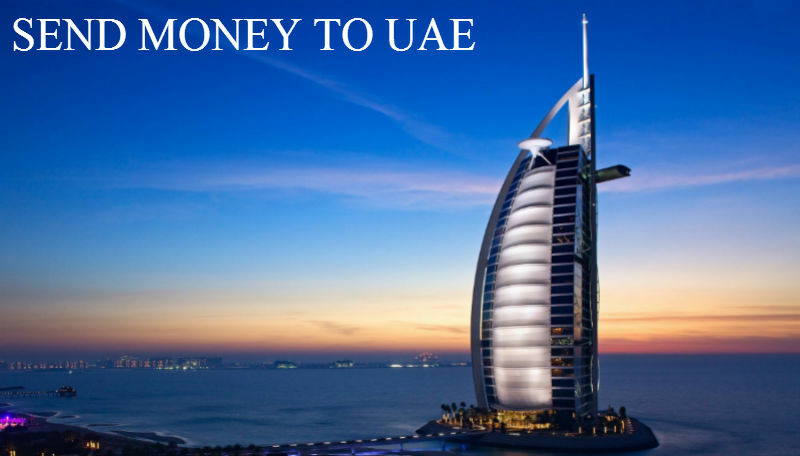 Effortless money transfer service to United Arab Emirates (UAE). Now you can send money to your love ones from the comfort of your couch or on the go by using Finmark Financials Online Money Transfer service. Whether your recipient lives in Dubai, Sharjah, Abu Dhabi, Ras Al Khaimah, Fujairah, Ajman, Al Ain, Umm al-Quwain instant cash can be pick up from anywhere. Quick account deposit in any UAE Dirhams bank accounts thru RTGS. Best exchange rates so you always get more money for converting Canadian dollar into UAE Dirhams (AED). Exchange rate is locked-in on every transaction, now no need to worry about market fluctuation or hidden charges. Use our Money Transfer Calculator to calculate current rate and transfer fees. Beside savings your recipient will not pay any extra charges while receiving payment. Contact us for any questions. Get started today by Sign Up for free. Now deposit UAE Dirhams (AED) to any bank account in United Arab Emirates. Just provide us recipient Account Title, Account no. or IBAN (24 digits start from AE), Bank Name and Branch Name. Beside individual's account money can be deposited into Commercial/Business and Charity/Non-proft Organization Dirhams accounts as well. Transfer fees on each transaction is as low as $20 and no backhand charges will be deducted on receipt of payment. Whether you do account deposit or instant cash pick up transfer fees remain the same. For Best Transfer Rates and Low Service Fees, contact us. Current Forex rates of Finmark of 1CAD. The rates provided are for information purposes only and may subject to change with international market without prior notice. Rates can only be guaranteed at the time of performing money transfer.